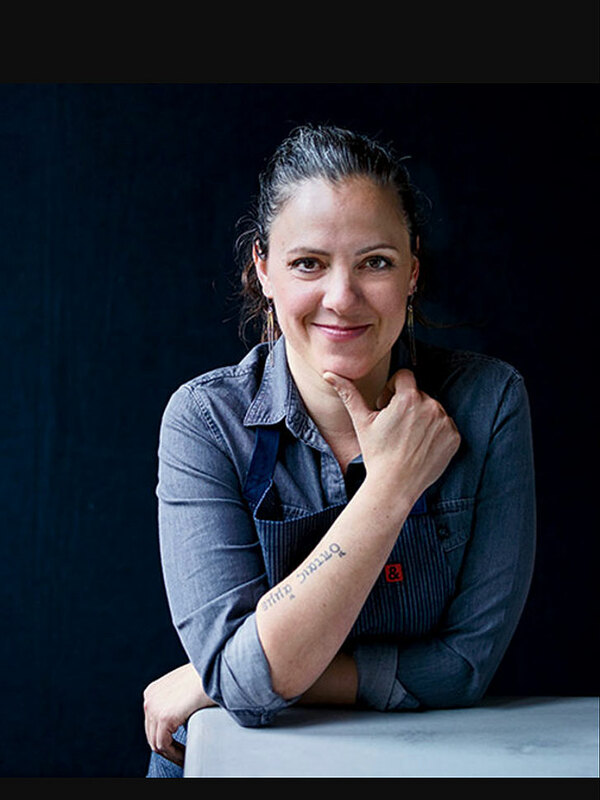 Recently, we held an event at Room & Board Seattle with local chef Zoi Antonitsas, who is opening a restaurant, Little Fish, in Pike Place Market this winter. We were able to grab a few minutes with her to talk about how to make the most of summer entertaining. 1. What’s your go-to summer dish? Grilled anything! When salmon is in season, I love to grill a whole fish and serve it with a variety of sauces and sides, like tzatziki, salsa verde, tomato and herb salad, and flatbread. I also love a cold rice, quinoa or grain salad, with tons of herbs, lemon and tuna conserva. It’d be like tabbouleh with tuna—so delicious! 2. Is there any ingredients that are off-limit during the warmer months? One must choose wisely with oysters during the warm summer months! 3. With so many aversions and allergies, how do you recommend cooking for a crowd that will satisfy everyone? I typically cook with tons of fresh vegetables, fruits and herbs, simple and flavorful grilled fish and meats. I love sauces that can be added as desired. 4. What do you always have in your fridge? Lemons, white wine, eggs, anchovies and half n’ half, for my morning coffee! 5. What’s your favorite part of the food scene in Seattle? I love the community of people doing something unique. We have amazing diversity and are very lucky to have such amazing food from all over the world. I am also super excited by chefs and restaurants using local and seasonal ingredients. We have an amazing bounty here; I love exploring and learning about new ingredients. 6. If you weren’t a chef, what would you be? Children’s book illustrator or farmer! 7. Name your three dream dinner guests, dead or alive. It depends on the party! I’d love to cook for my grandparents on both sides; I think that would be incredible. I’ve also always wanted to cook for Alice Waters, Lulu Peytraud, Julia Child and Marcella Hazan, all female icons/idols of mine. For a real rock n’ roll party, I think Snoop Dogg, Tina Turner, Marilyn Monroe, Stevie Nicks and George Michael would be super fun!